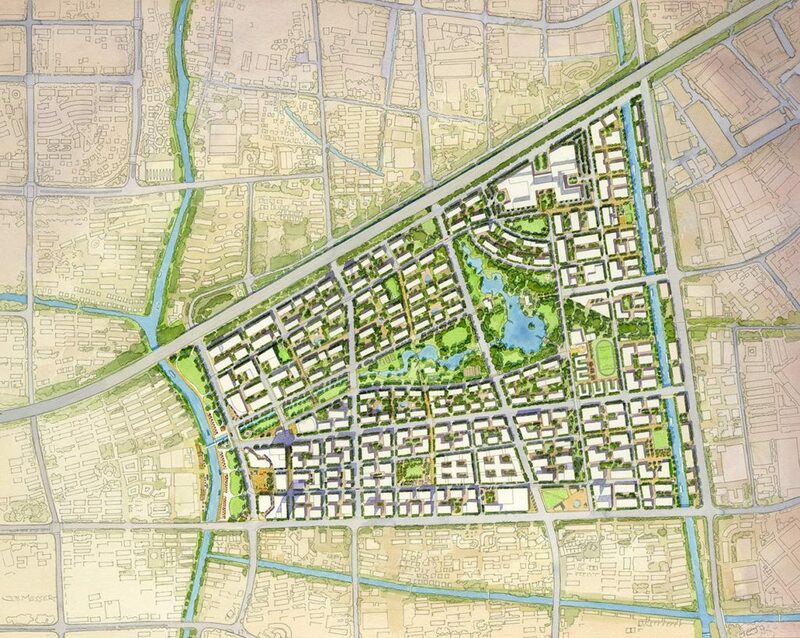 K+R Design Consultants produced this master plan of a district of Shanghai for the Songjiang district government. Srini Rau and Neil Kritzinger study a site for it’s specific character and environment and build their plans utilizing those characteristics to their best advantage. Always with an eye to human scale and livability. This leads to an enhanced experience for the communities, existing and future. 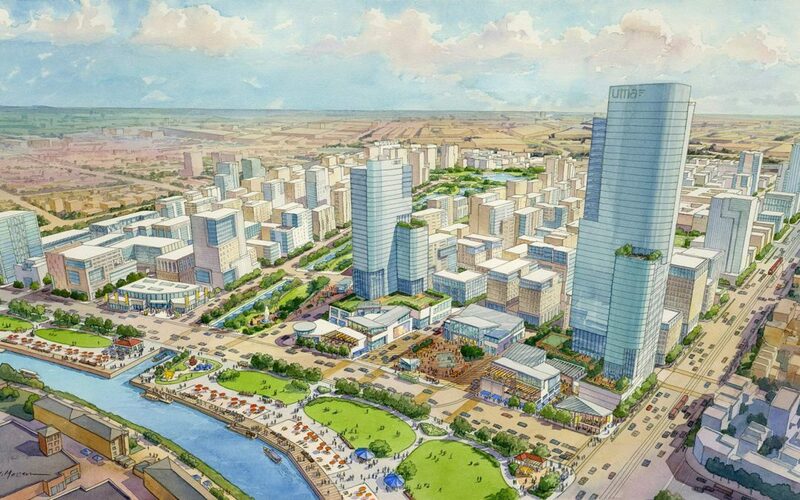 In this case the current river system is opened up and a ‘beachfront’ park is envisioned. The entire site wraps nicely around a central river walk culminating in a lakeside park for the residents and visitors. The building masses are developed into use oriented zones. If implemented this kind of design could and should inspire other neighboring precincts to beautify and expand their use of the river as a natural resource. Near the beachfront there is a major plaza, surrounded by retail and hotels. There are zones for creative firms, government buildings, high-rise business buildings, mid rise business and residential, as well as a major hospital.